Truth be told! We enter our 2019 reviewing season with a pretty remarkable release to say the least! 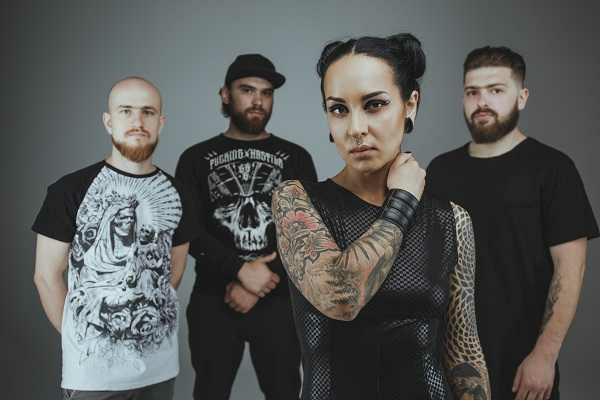 Jinjer have released their latest Micro Ep on January 11th via Napalm Records. From the very start, within just a few seconds you’ll realize that we’re talking about gargantuan release which is exact opposite of what the title stands – Micro is a gigantic rollercoaster of sounds. Its interchanging nature ranges from some of the sickest, anger driven emotions to a more gentle, beautifully calming stuff. The first tune from this EP, called Ape is as savage as the title suggests. In this one, Roman Ibramkhailov’s thick, djenty riffs are combined with head-chopping growls & classy clean vocals of Tatiana Shmailyuk . The song itself is really catchy both riff-wise and vocal-wise. The song breaks with a short chord progression and then builds up into an unstoppable storm thanks to the blast beats and amazing guitar work. Dreadful Moments has a calm start and then transforms into a djenty sledgehammer. In this one, Tatiana shows her vocal mastery that can outdo most of growlers/singers anytime. And just wait to hear that howling banshee ear-piercing scream! When it comes to guitars, your neck will remember these riffs, believe me! The next tune, Teacher, Teacher starts with this kind of hip hop-sounding vocal part and then the growls kick in. The dual nature of Tatiana’s vocal makes this one even more interesting! And yeah, Teacher, Teacher is not as angry as the previous tracks, that’s for sure, especially for its clean guitar part and some awesome singing skill. But yeah, this song ends with a bone-crushing djenty riff! Perennial is where rather short moments of melancholy suddenly turn into a two headed beast with all the beauty and ugliness that comes with it. Neat bass line and clean guitars will give you a deserved break from the sheer brutality that’s omnipresent on this release. The last one on this EP, is a self-titled mini instrumental in which Eugene Abdiukhanov delivered some chilling, catchy bass lines! 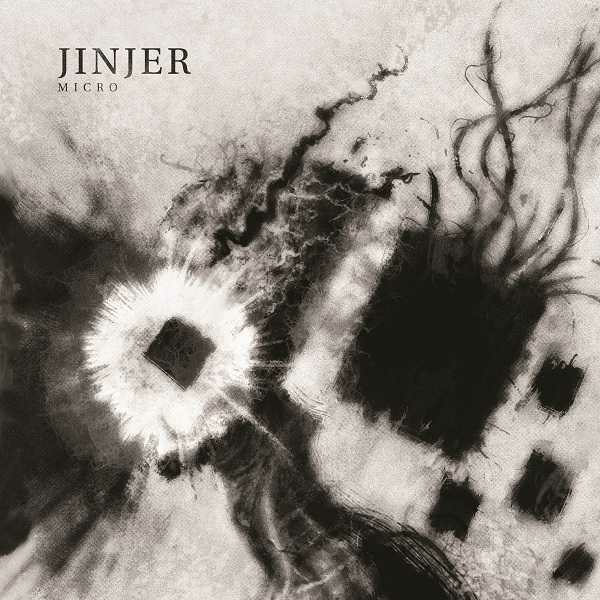 Jinjer’s Micro is without a single moment of doubt, a staggering release! This band keeps their creative machine rolling! Roman’s guitar work surely made our jaws drop, but of course, Tatiana’s vocals is what makes this band even more interesting! We even thought that there might be a second vocalist in the band. Good job Tatiana! Good job! 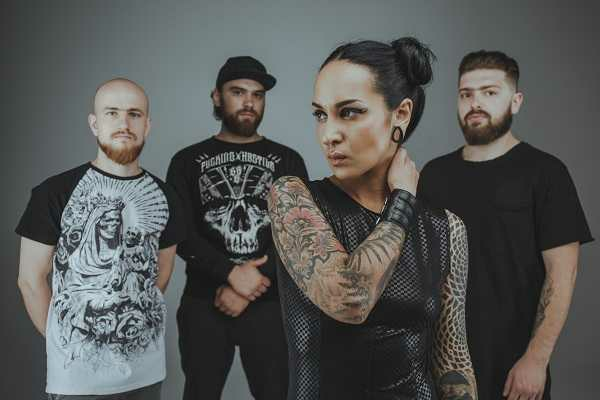 If you’re into djent stuff, Jinjer is the fix you need! If you like what we are doing, like our facebook page, follow us on instagram & twitter and subscribe to our youtube channel to help us grow! Big shoutout to our patron Season of Mist (not the record label)! You can also support us by donations via paypal and by becoming our patron! Don’t forget to like & share this article!